This event was everything I hoped it would be and more! First off, shout out to my partner in crime that joined me. 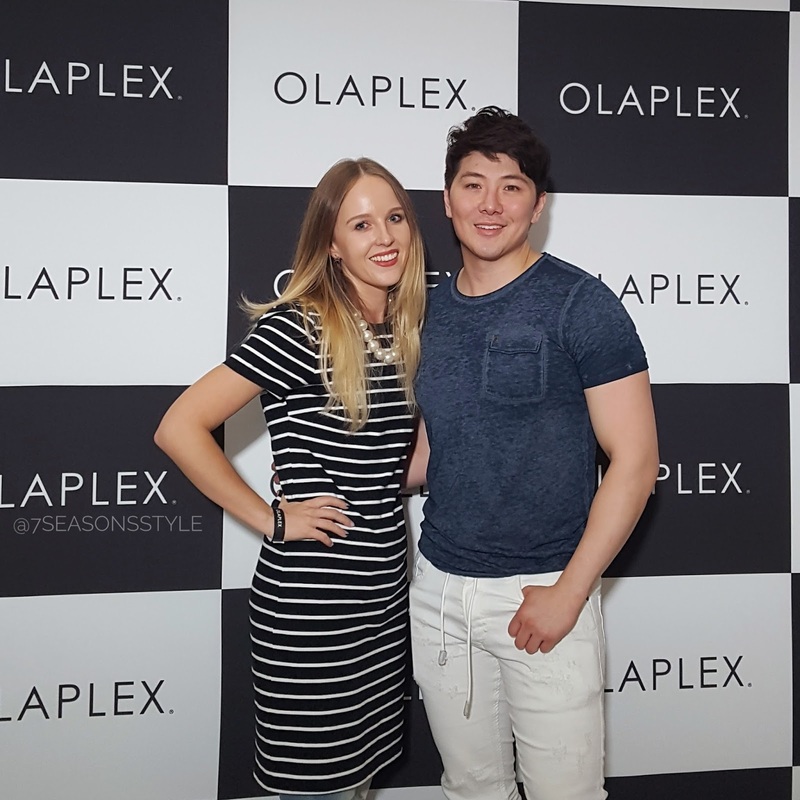 Fellow K-beauty blogger Beauty and Seoul was introduced to the wonders of Olaplex and Guy Tang (and Fashion Week!) I love how Instagram brought us together and we had such a blast. That is the positive power of social media! Now, back to the event. 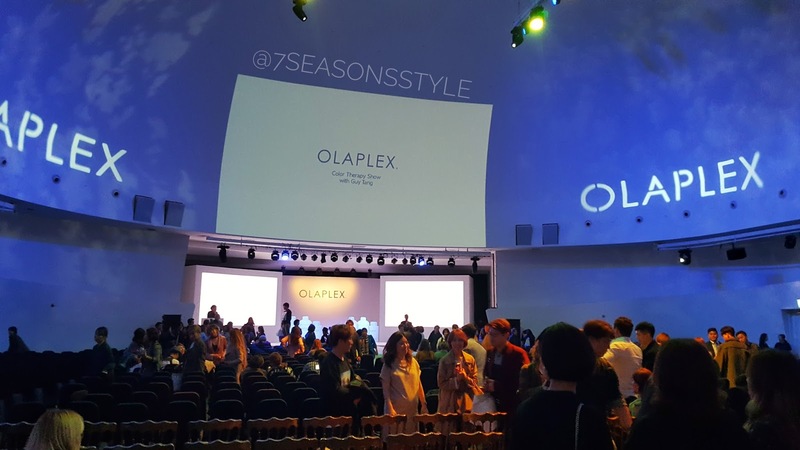 I raved about how Olaplex was launching and broke down the science in this post, so if you missed it, go here now! 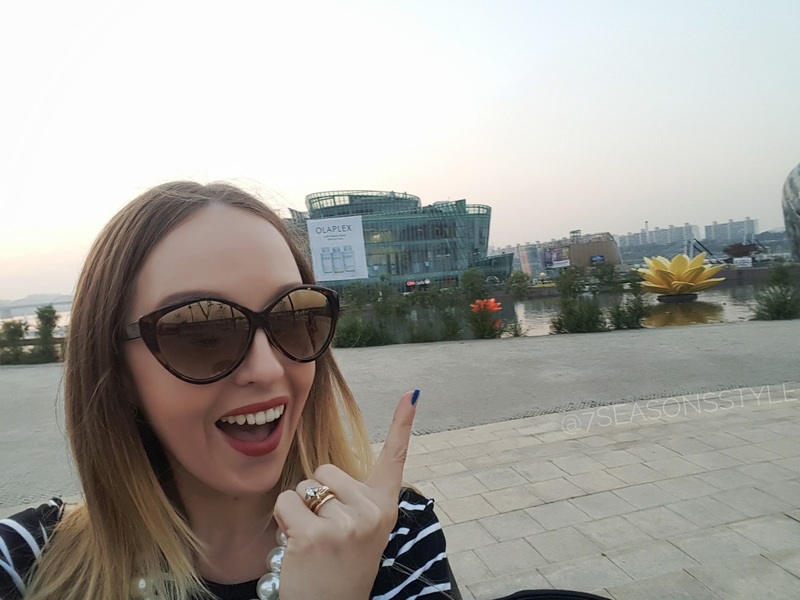 It was held at the floating islands on the Han River. I had never been there before so that added to my excitement. We attended the evening event so I was worried it would be packed early. We arrive about 90 minutes before the show. 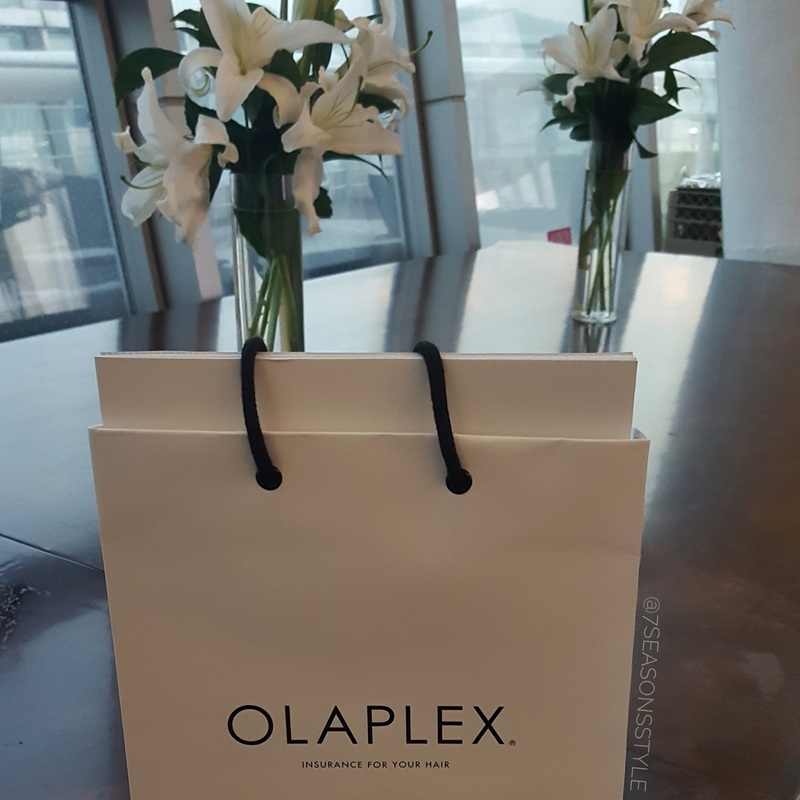 Upon entering we signed our names, received a wristband, and an unexpected gift bag filled with information materials, Olaplex branded macarons, and a full size hair treatment by ATS, another professional hair care brand in Korea. This was icing on the cake! The venue was beautiful and elegantly laid out. There were 3 viewing rooms, the main hall and 2 smaller rooms. They had 2,000 people in attendance for each of the two shows! It was a huge gathering. We waited in line for about 20 minutes before being let into the main hall for our seats. We were able to sit in the front row and I just about lost it! There was some mild drama while waiting for the show to start that included an entire bottle of spilt lip tint and hands that looked like The Walking Dead. Luckily we were bystanders and offered a tissue, but note to self: water lip tint should only be applied in a well lit bathroom and always make sure the bottle is fully upright before opening it. Drama aside! On to the show. Guy Tang was in full force with his bubbly personality, bright eyes, and K-perm. He rocked his technique and taught so much about how to get the perfect balayage. It was inspiring to see him in person. He is a dynamic speaker that mixes education, passion, and fun into everything he does. The crowd loved him and I hope they were taking notes. I helped my stylist at Juno hair learn how to balayage with his pictures and videos, so I hope more stylists will try this technique and not be afraid of colors and trends. After the show there was an area set up for pictures. It was lovely meeting Guy and getting to chat in real life. He was genuinely a warm, welcoming person. Often when I meet YouTubers or beauty celebs they can be a bit stuffy and pretentious, but he was a sweetheart! The kind of person you grab coffee and lunch with and laugh the day away. He had an awesome team by his side and I’d say it was a successful launch. It just launched in South Korea, so the salon information is being determined as they place their orders. As I know more specifics about salons and prices I’ll keep my website and Facebook page updated, so be sure to subscribe for emails and stay tuned for more! As always, pop over to my Instagram and check it out. Tons of mini reviews, pictures, and K-beauty trends. Oh my gosh! It’s my dream to have Guy Tang do my hair. I’ve just moved to Korea (Daegu area) a few months ago and my vibrant green hair is in serious need of maintenance and Olaplex. 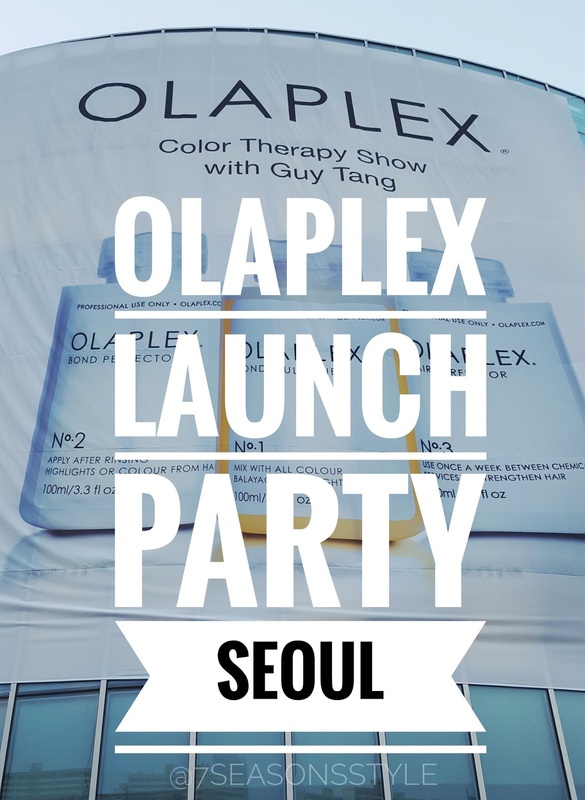 Please please please I know it’s time considering and appreciate it but I am so excited for when you update with Salons that offer Olaplex. #greenhairstruggles!